Get ready for an intergalactic fun-fest as Rancho Obi‐Wan launches its 2nd Annual Gala on Saturday, September 20th #ROWgala. 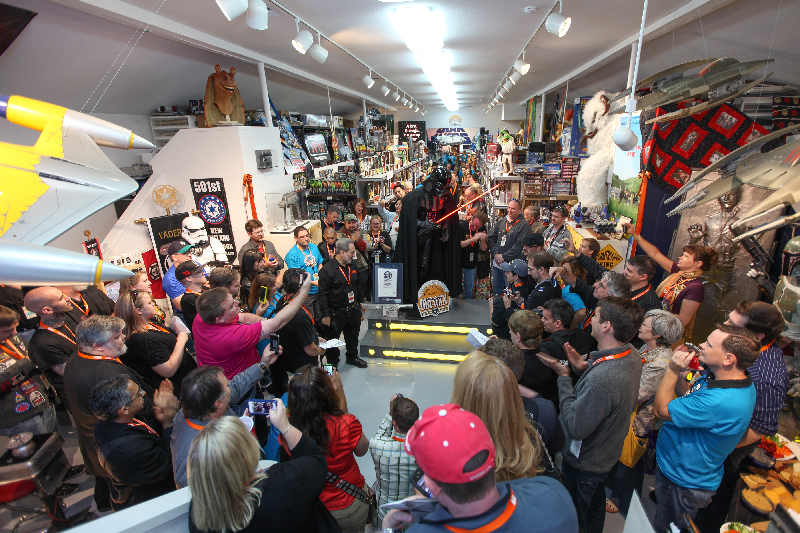 It’s a party as only Rancho Obi-Wan can throw one, in the midst of the world’s largest collection of Star Wars memorabilia and hosted by master-collector Steve Sansweet. There will be dinner, drinks and dessert all night, a trading-card bounty hunt and other games, door prizes, a special gala T-shirt and a super swag bag filled with exclusive goodies. Get ready for surprises galore, VIPs to mix and mingle with, Rancho’s incredible live and silent auctions, entertainment, special exhibits…and much, much more. 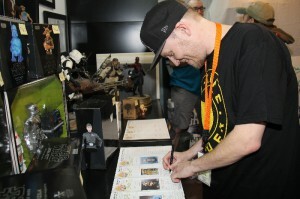 The gala will raise funds for the ongoing costs of maintaining Rancho Obi-Wan including insurance, utilities, security, professional services, maintenance, and protection, preservation and documentation of the collection. No funds are ever used to acquire collectibles. Monies raised will also enable us to continue our mission of inspiring others through public outreach to schools and for other charities to raise funds. A live auction will be conducted by Steve and a silent auction will be held the entire evening. There will be a balloon pop and other games with great prizes in addition to door prizes. Indulge yourself with treats and services from our award-winning providers. 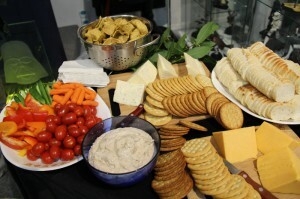 Dinner will be prepared by local chef Julie Warner of Twisted 2 restaurant. Wine from many of Sonoma County’s 16 appellations will be served in addition to beer and soft drinks. Luscious desert will be baked by Rancho neighbor Let’s Do Cake. Special photography will be provided by Victoria Webb. We look forward to spending an incredible evening with you celebrating our mutual love of Star Wars and relaxing amongst friends. 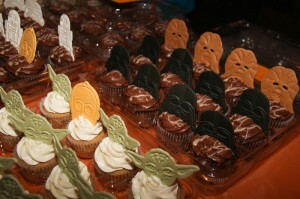 Rancho Obi-Wan is a fan experience beyond that of conventions and theme parks. Hosted by master-collector Steve Sansweet. Dinner, drinks and dessert all night. Trading card bounty hunt and other games. Live auction of special items donated to Rancho Obi-Wan. 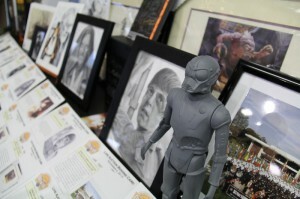 Silent auction of special items donated to Rancho Obi-Wan. SUPER SWAG BAG filled with many goodies! 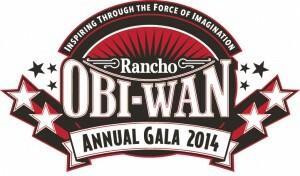 Only Rancho Obi-Wan current supporting members can purchase admission. To become a member or to renew a past membership, please sign up here with a $40 tax-deductible donation. Current members can login to the Member Store to purchase tickets now! * $150 of the $250 ticket price may be tax-deductible. Members can purchase a ticket for themselves and a ticket for one guest. All attendees must be 21 and over. There is no parking at Rancho Obi-Wan; our shuttle will pick you up from either the Quality Inn, Motel 6, or the downtown Petaluma parking garage and bring you to the party. Can’t attend? Donate and still get all the perks! Donate $250 and we will send you the party SWAG BAG. In addition you will be able to place absentee bids for any items in the live or silent auctions. Current members can login to the Member Store to make the absentee donation now! * $200 of the $250 donation may be tax-deductible. Contact Board Member Rich Smolen to arrange a donation for our live and silent auctions or for our swag bags. Donors will receive recognition in our social media, on our web site and at the event. Donors will be sent a receipt for tax purposes.